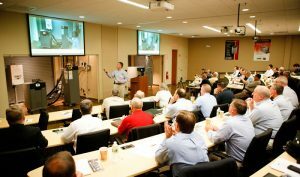 LAARS Factory Training Sep. 24 - Frank P. Langley Co. Inc. Sponsored by Frank P. Langley Co., Inc. & Presented by Laars Heating Systems. Join us Mon. Sep 24, 2018. at the Laars Training Center in Rochester, NH. Training will be all day Monday, finishing with dinner Monday night, and heading for home first thing Tuesday morning. We will be driving Sunday night and staying at a nearby hotel, to be determined. Lodging and meals will be provided by Laars.